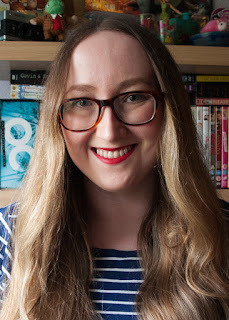 Today's Read Women Month post is a little recipe inspired by one of my favourite books, Anna and the French Kiss by Stephanie Perks. 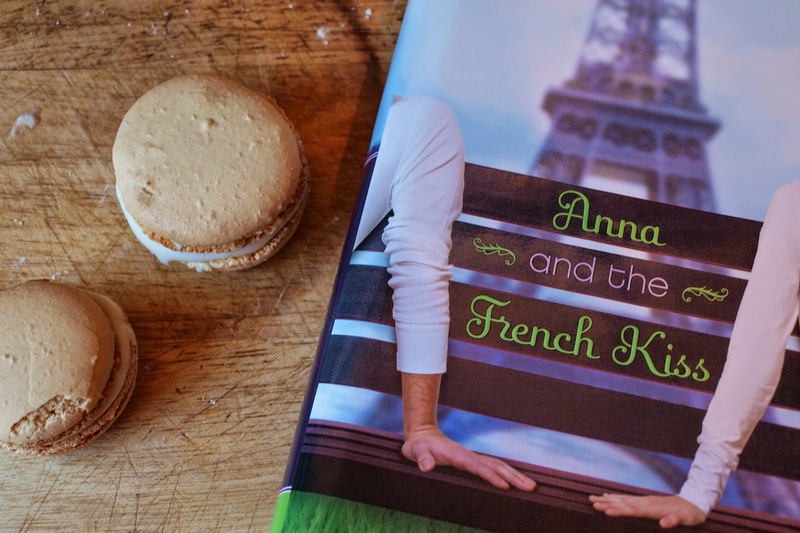 Of course it had to be macarons for a book set in beautiful Paris, and when I thought of Anna Oliphant my mind immediately went to bananas (you'll understand why if you've read the book, I hope). 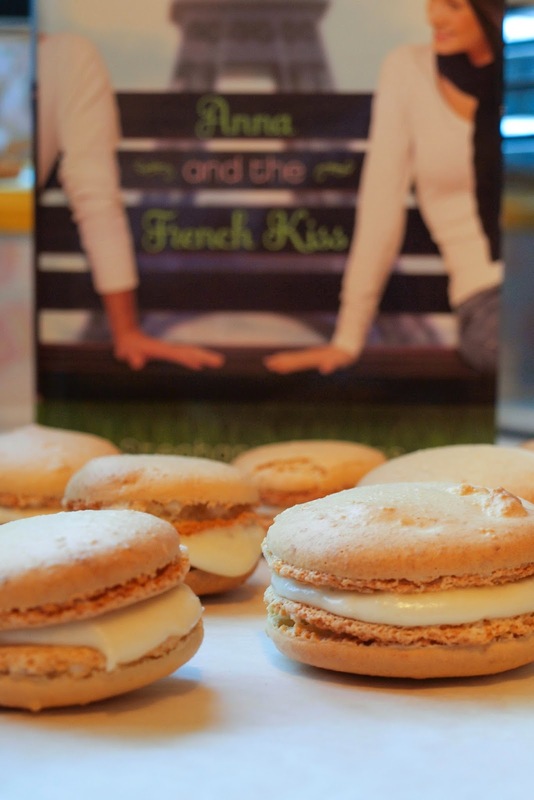 So here they are, delicious banana macarons for Anna and the French Kiss. 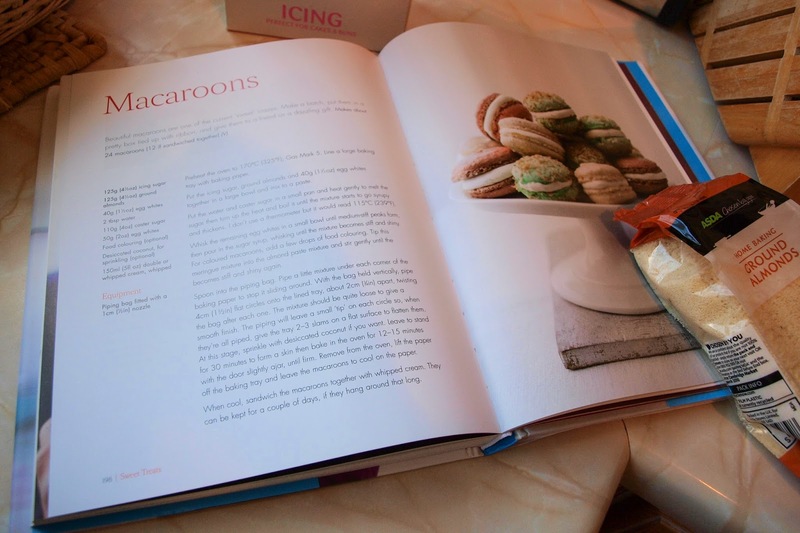 For the macaron shells (possibly not the technical term) I used this recipe from Lorraine Pascale's Baking Made Easy. I actually found this recipe incredibly not easy because I kept messing up the sugar syrup, but they came out alright in the end and if you're a little better with sugar syrup than I am then you should find it a lot easier. Put the water and caster sugar in a small pan and heat gently to melt the sugar, then turn up the heat and boil until the mixture starts to go syrupy and thickens - if you prefer to use a thermometer then it should read 115°C/239°F at this stage. Whisk the remaining 50g egg whites in a small bowl until medium-stiff peaks form when the whisk is removed from the bowl, then pour in the sugar syrup, whisking until the mixture becomes stiff and shiny. Tip this meringue mixture into the almond paste mixture and fold gently until the mixtures are combined and stiff and shiny again. Spoon the mixture into a piping bag. Pipe a little mixture under each corner of the baking paper to stop it sliding around. With the bag held vertically, pipe 4cm flat circles onto the lined tray, about 2cm apart, twisting the bag after each one. The mixture should be quite loose to give a smooth finish. The piping will leave a small 'tip' on each circle so, when they're all piped, give the tray 2-3 slams on a flat surface to flatten them. Leave to stand for 30 minutes to form a skin then bake in the oven for 12-15 minutes with the door slightly ajar until firm (our oven door won't stay ajar so I didn't do that but they turned out okay.) Remove from the oven, lift the paper off the baking tray and leave the macarons to cool on the paper. For the filling I used this recipe for banana buttercream icing. I halved the ingredients but ended up having to add a lot more icing sugar to get the icing to a consistency that was thick enough so I've still ended up with a lot left over. I'll give you the measurements I used but bear in mind that you too will definitely need more icing sugar and probably will have some buttercream left over! Cream together the butter, banana, lemon juice, and vanilla extract. Slowly beat in the icing sugar, adding more if needed. Use small amounts of buttercream to sandwich pairs of macaron shells together once the shells are completely cooled. And try not to be too upset that you aren't eating them under the Eiffel Tower with Etienne St. Clair! But can you try to stack them into the shape of an elephant? Hmm. The trunk might be tricky.